Louisiana shooter John Russell Houser warned of a “downfall, which will be worse than a ‘Mad Max’ scenario” and compared President Obama to Oklahoma City bomber Timothy McVeigh in an online message board post in 2013. The post links to Houser’s profile on the site, which gives his full name, age and city of residence which appear to match the man identified as having shot and killed two people at a “Trainwreck” screening in Lousiana on Thursday night. 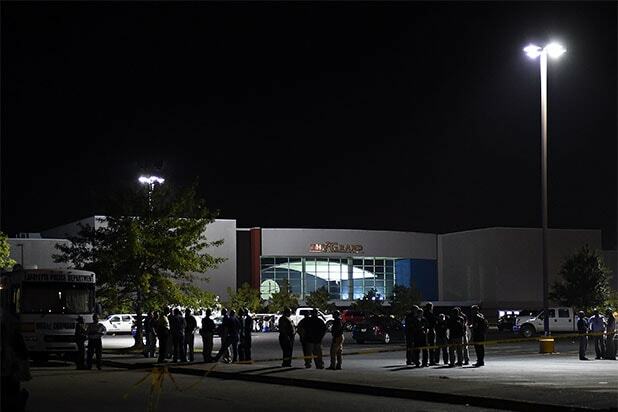 Moviegoer Katie Domingue told the Lafayette Advertiser newspaper that the gunman opened fire about 20 minutes into the movie. “We heard a loud pop we thought was a firecracker,” Domingue said. She reported seeing “an older white man” stand up and open fire. 1 Recognize a lost cause.It is too late.The US is oozing the puss of foolishness and perversion. 2 Find a positive way to exert your energies.I recommend laughing as often as possible.Here is something that is truly funny: since I accepted this it came to me that the president is doing exactly what Tim McVeigh did,only the president is much more effective.The way I see it,the faster he wrecks this nation, which in no way resembles what it’s founders envisioned,the faster working people with morals may re-assume command.ie I was for his re-election. I like his spending habits.etc……Truth and death always go hand in hand, and in our brave moments we can laugh. Whatever truth requires, I will accept. 3 Encourage whatever takes us forward. Right now, down is forward. 4 For the few who will understand this, it is my hope that you will see to one preparation for the coming downfall, which will be worse than a Mad Max scenario. That preparation is not storing up canned goods, munitions,etc, but to gather what will be necessary to put in your families food to insure a painless and certain death should the need arise.,if there are no cell phones,no TV,no power,gas,no stores,no police,etc. 5 If you are male, fight until the end, and enjoy it.People are good at what they enjoy, and your Maker would want it that way.